Today I am honored to be part of the Tide Ever Rising release tour. Be sure to check out the rest of the tour stops. Mandi Tucker Slack grew up in Orangeville, UT, where her father worked as a coal miner for eighteen years. In 1987 the coal mines shut down for a time and her father joined the U.S. Army. They were stationed in Hanau, Germany, and she had the opportunity to explore Europe. Mandi’s family returned to Utah in 1992, and they settled in Orangeville, Utah, where she attended and completed High School. She then attended the College of Eastern Utah, where she studied Geology. 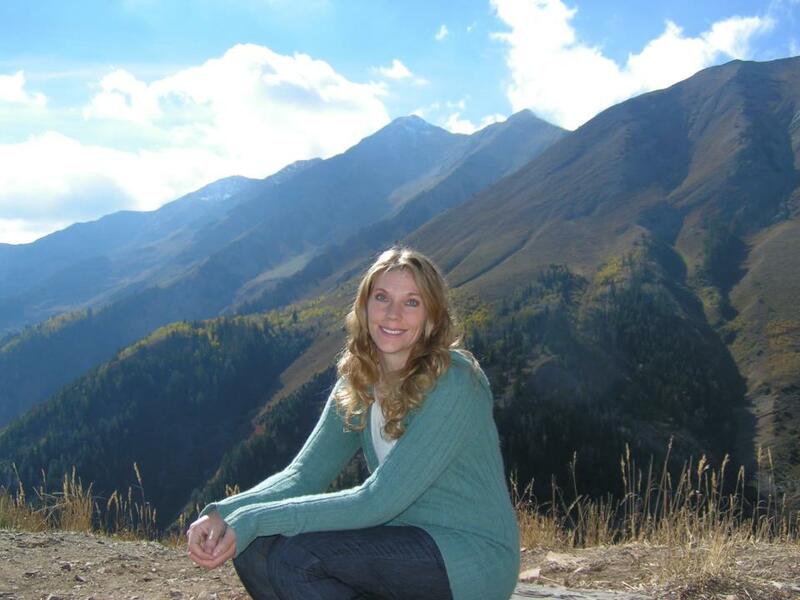 Eventually Mandi changed her major and moved on to Utah State University while she completed a degree in Special Education. She then married her best friend, Charles Slack. They have three children, two dogs, and a lizard (sometimes several lizards).Their family loves to spend time together. They especially love to rock hound and camp, and her house is littered with rocks and fossils. Mandi loves the outdoors, and she enjoys writing suspenseful novels and short stories. It was an interesting, romantic, mystery read with a touch of paranormal. I guess I should have known this but I didn't know it would be paranormal. This was a little bit more adult, I guess it was because the main characters weren't teenagers, which is always a good thing, I'm no longer a teen and I should relate to characters in their mid-twenties. I've been reading a lot of YA lately and this wasn't your typical crush, love triangle or high school/college students, this was more about real life. It starts as a romantic story, very peaceful that you don't see how it will turn into a mystery. This made me think I was actually watching a movie, you get to know the characters first before you enter the plot of the story. The characters are very lovable, you relate to them easily, they are very realistic except for the paranormal. But that only makes it better, it's not far fetched, I'm sure you might know people with similar stories in real life. Some stories have titles that tell you exactly what's going to happen, but here I had forgotten all about it until very far along the plot, you get to see how it fits with the story. It was very exciting realizing how it fit, it might be the most important part of the book. The romantic part of the story is very realistic, maybe in real life things aren't that easy all of the time but I think they could be. We need to see what the characters did right, what went wrong and we could learn from them. I think it was a great way to put things into perspective, am I really happy? Why do others think what they do? Should I be concerned? The end - We get to know how everything got solved but I kept thinking, there's one little detail missing, is this one of those books where the author just leaves it up to you? In the end, the answer was there, you just have to be a little patient. I like to know things right away, I'm learning to be patient. The setting in the beginning, it made me think of a horror story; a cabin in the middle of nowhere, you get off the highway and stop to explore. It's not what you think though. "He didn't want her to go, but what right did he have to ask her to stay?" If a grown man thinks like this, what can I expect of a young guy who's probably not ready or sure about what he wants? The characters sound easy to relate to and connect with, and glad to hear that the romance is realistic. Thanks for stopping by! I guess it's different from high school love lol, it's a nice change. Great review! This book sounds quite good and like you, I'm more of a young adult reader. It would be interesting to read something a bit more age appropriate I guess haha. I'll have to add this to my TBR list. I love a good mystery!